A few months ago we welcomed Jack into our home and I am thrilled to officially introduce him to the blogging world today! 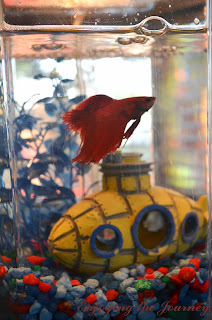 Jack is a red beta and so much fun to be around. 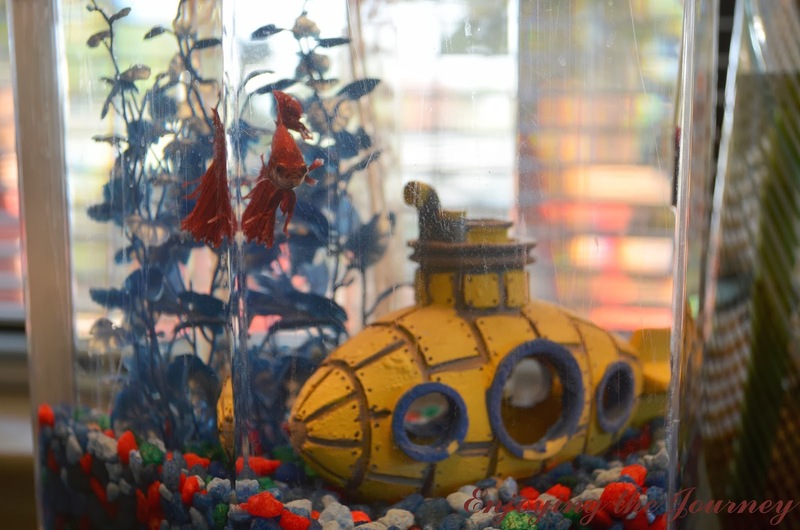 He loves to swim around, play hide and seek in his yellow submarine, and eat! 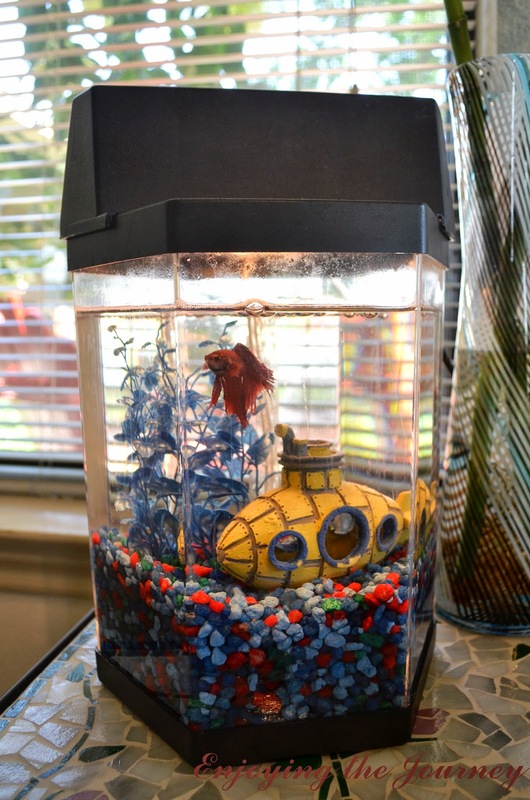 He is very kind in that he regularly cleans his own tank, and he is right by my bedroom door so anyone that enters or leaves has to say hi to him. If you are familiar with the the television show Duck Dynasty, then you have heard many of the cast members say, "Hey, Jack" and now you know where he got his name. It is great to be able to walk in the house after a long day and say 'HEY, Jack!' and actually be talking to someone. The best part about Jack is how excited he gets when you pick up his food and he swims to the top just waiting in anticipation for what is about to happen! He shakes his little tail feathers(? ), and it is great!! Everyday he brightens my day, and I hope he has brightened yours today! I knew you had gotten a fish, but somehow I have not met Jack. He's cute! I love that you named him after Duck Dynasty. Makes me Happy Happy Happy :)) He's pretty cute!